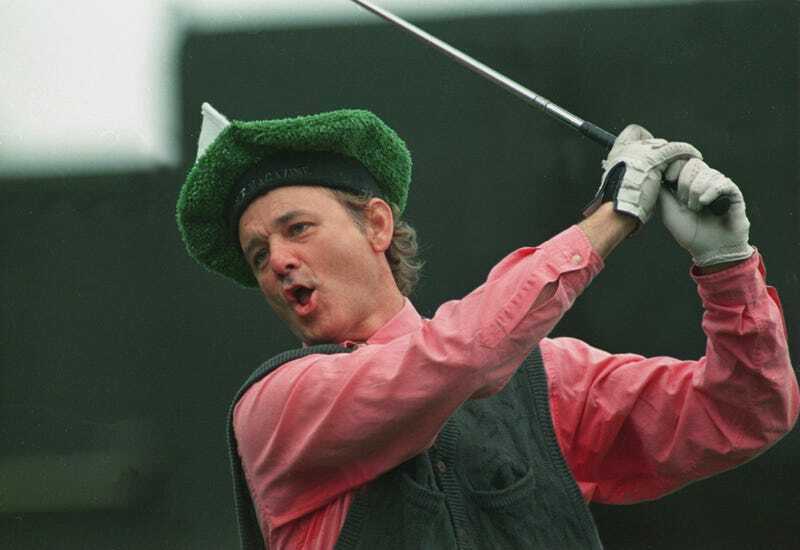 Bill Murray fans with very singular tastes are in for a treat: the beloved actor is providing an opportunity for the public to decide what he wears at the upcoming AT&T National Pebble Beach Pro-Am golf tournament. Murray, whose William Murray golf clothing brand has partnered with crowdsourced clothing company BetaBrand (we live in a really dumb future), is set on wearing bell-bottoms to the tournament. Rather than pick them out entirely by himself, though, everyone’s invited to weigh in on the very important decision of what wonderfully garish pattern will adorn the Pants of Fate. As the page shows, those who hope to reclaim even an ounce of discernible autonomy in a world dominated by the whims of our modern pantheon of celebrity gods, can choose between styles such as “Big Earner” (blue; inspired by Murray’s Kingpin character), “Wavy Gravy” (psychadelic swirls of color; gleefully hideous), and a few more. The most popular selection will be applied to a pair of bell-bottoms and appear, like magic, on Murray’s legs when he heads to the Pebble Beach Pro-Am. That’s democracy in action, baby. The tournament takes place in early February, which means that anyone with the strangely specific dream of dressing Bill Murray in their favorite clothes has only a short time left.